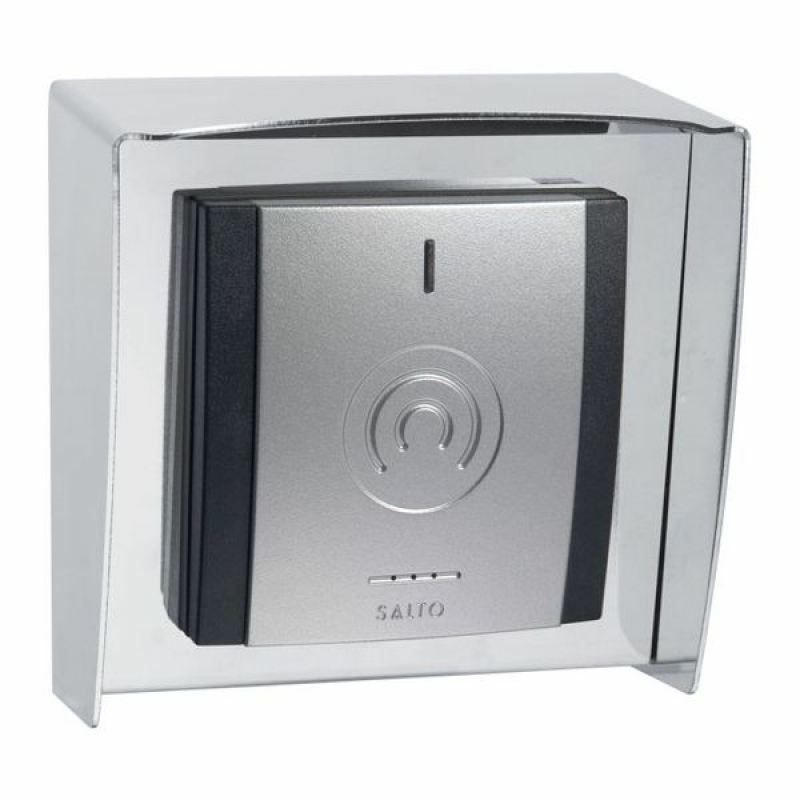 The SALTO Mifare WRM9001E External Wall Reader reads encrypted data from the carriers and then communicates it to the door controllers. It also allows for updating of the carriers via SALTO Virtual Network technology. All models are IP 46 compliant making them ideal for use indoors and out, including environments exposed to harsh weather conditions. ID technologies available: DESfire, DESfire EV1, Mifare, Mifare plus, Vicinity, Inside Picopass, Legic, HID iClass, SKIDATA. Contactless reading of the carrier. 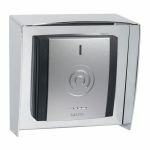 Reading distance up to 50mm depending on the RFID technology. The maximum cable length between the door controller and the wall reader is up to 100mtrs. * with a twisted pair cable. Dimensions: 83mm x 83mm x 13.5mm (W x H x D).